“In the last few weeks, the ECB has been drawing on its liquidity swap line with the Fed, first $308 million for a week, then $658 million for a week, and last week back down to $358 million. What’s that about? It’s not such a large amount. Bank of Japan borrowed more in the past, $810 million in March and $1528 million in January. But the question then repeats, what was that about? 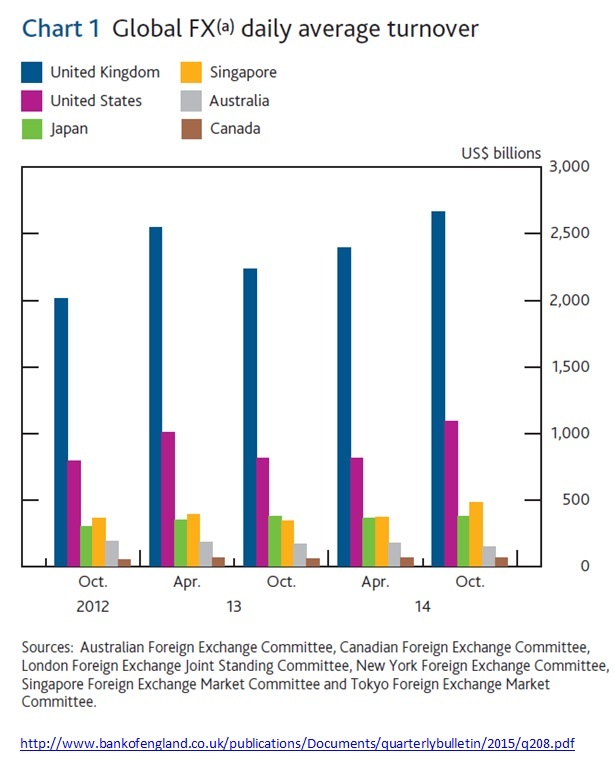 As Perry Mehrling noted, central bank swaps are in some ways similar to a standard commercial foreign exchange swap. But, there are also differences. A commercial swap is an exchange of two currencies for a specific period with a reversal of that exchange at the end of the period. It consists either of a combination of a spot and a forward leg or of two forward trades with different maturities. The cost is the swap rate, which is the difference between spot and forward rate (or between the two forward rates involved). This in turn is equal to the interest-rate differential for a given term. The swap rate is always paid to the holder of the currency with the lower interest rate. Swaps can be used either to avoid or take foreign exchange risk. For example, a company which is expecting a payment in a foreign currency at some future date may wish to lock in the current exchange rate by buying the respective amount spot and at the same time selling it forward to the day when it may settle the trade with the incoming payment. On the other side, as I wrote elsewhere, swaps can be used to prolong an open position exposed to foreign exchange risk in search of a currency profit. Central bank swaps differ from these kinds of transactions in several respects. Furthermore, central bank swaps differ from commercial swaps in that they may require prior notice and may have a maximum duration. (See for this and the following, for example, the documents in the Federal Reserve Central Bank Liquidity Swaps Arrangements Archive). Initially, swap lines were mainly intended to increase central banks’ financial scope to fight a currency crisis. While, in principle, a central bank’s means to counter an appreciation of the domestic currency – which it can issue itself– is unlimited, its ability to cope with an ongoing devaluation is determined by the level of foreign reserves. The idea behind swap lines was to alleviate this problem as they widen the available pool of funds. There has been one exception, however. The table below shows the amounts borrowed from the Fed by other C6 members at selected dates. The series dates back to May 2010. 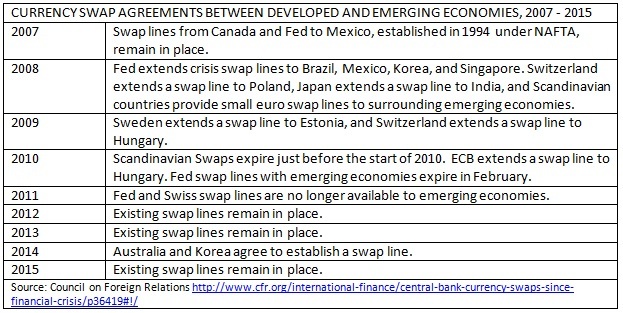 With the exception of smaller drawings by the SNB in 2011 and 2012, only the ECB and – to a lesser extent – the Bank of Japan have been making use of Fed swap lines so far. The selection here draws attention to the one occasion where this use was extensive. It started in September 2011 and lasted until summer 2013. In the course of the European debt crisis, during this time, the ECB borrowed dollars from the Fed and lent them on to banks in Europe who had dollar liquidity needs and were unable, as Perry Mehrling wrote, ”for whatever reason, to access dollar funding in the open market, or only at a premium … higher than the ECB charges”. 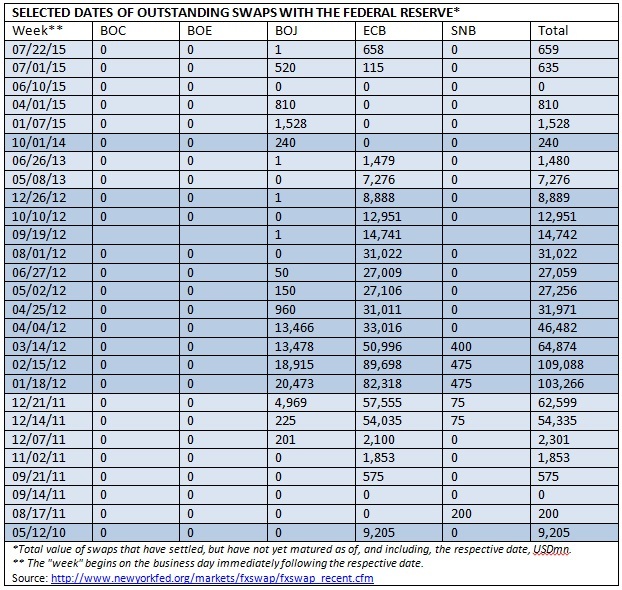 At its peak in February 2012, the ECB had $89,698 million outstanding swaps with the Fed. This and the BOJ’s $20,473 million in January 2012 dwarf the sums mentioned by Perry Mehrling for both central banks in 2015. The reference to systemic risk and contagion can hardly disguise the fact that here the Fed was de facto “bailing out” European banks, as critics remarked. “On December 12, 2007, the Federal Reserve extended swap lines to the European Central Bank (ECB) and Swiss National Bank (SNB). European bank demand for dollars had been pushing up, and creating accentuated volatility in, U.S. dollar interest rates. The swap lines were intended “to address elevated pressures in short-term funding markets,” and to do so without the Fed having to fund foreign banks directly [my emphasis]. On September 16, 2008, two days after the collapse of Lehman Brothers, the Federal Reserve Open Market Committee (FOMC) gave the foreign currency subcommittee the power “to enter into swap agreements with the foreign central banks as needed to address strains in money markets in other jurisdictions.” This enabled the subcommittee to extend swap lines to other central banks and to expand the size of the existing swap lines, without the need for the full FOMC to vote on it. … Two days after the subcommittee was granted this power, the Fed expanded the size of the swap lines with the ECB and SNB, and extended three new swap lines, to Canada, the United Kingdom (UK), and Japan. On September 24, 2008, further swap lines were extended to Australia, Denmark, Norway, and Sweden. On October 28, 2008, a swap line was extended to New Zealand. The ECB established swap lines with Sweden in December 2007, the SNB and Denmark in October 2008, and the Bank of England in December 2010. The euro area, Sweden, Denmark, and the UK had relatively low foreign exchange reserves going into the crisis, owing to the costs involved in holding reserves and the belief that there was little likelihood that more would be needed in the foreseeable future. However, banks in these countries borrowed large sums in foreign currencies in the years leading up to the crisis. When it became difficult for them to borrow funds in 2008, they turned to their central banks, reserves of which proved insufficient to meet the unanticipated demand. The ECB swap lines were therefore called into use in 2009 to provide Sweden and Denmark euros with which to top up their foreign exchange reserves, and the swap line with the SNB was called upon to provide the ECB with Swiss francs. The swap line with the Bank of England was put in place as a precautionary measure to ensure that the Central Bank of Ireland, which is part of the Eurosystem, had access to pounds sterling, but it has never been used. Since 2007, Sweden and Denmark have more than doubled their foreign exchange reserves, the UK has doubled its reserves, and the euro area has increased its reserves by 20 percent. In 2011, the Bank of Canada, Bank of England, European Central Bank, Bank of Japan, Federal Reserve, and Swiss National Bank announced that they had established a network of swap lines that would allow any of the central banks to provide liquidity to their respective domestic banks in any of the other central banks’ currencies. In October 2013, they agreed to leave the swap lines in place as a backstop indefinitely”. 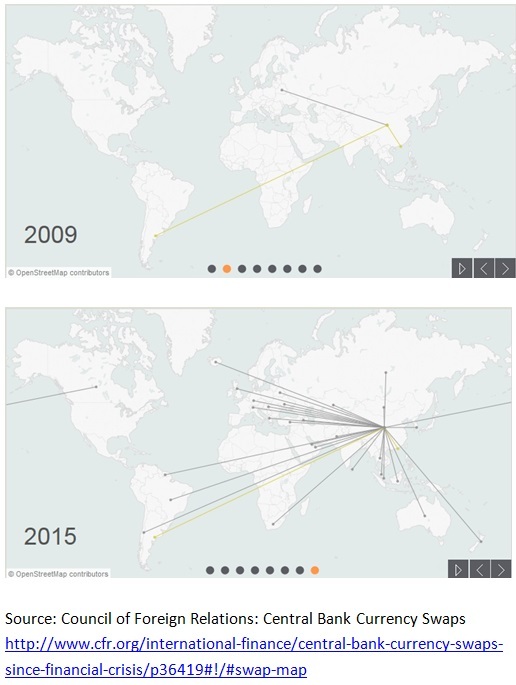 “In 2010, the Chiang Mai Initiative (CMI) was multilateralized, meaning that it was converted from a network of bilateral agreements between countries into one single agreement, the Chiang Mai Initiative Multilateralization (CMIM). A surveillance unit, the ASEAN+3 Macroeconomic Research Office (AMRO), was created to monitor member economies for signs of emerging risks and to provide analysis of countries requesting funds from the CMIM, much as the International Monetary Fund (IMF) does for its member countries. The fourteen countries participating in the CMIM agreed to a certain financial contribution and were thereafter entitled to borrow a multiple of this, ranging from 0.5 for China and Japan to five for Vietnam, Cambodia, Myanmar, Brunei, and Laos. In 2014, the size of the agreement was doubled from $120 billion to $240 billion, and the amount a country could access without being on an IMF program was raised from 20 percent to 30 percent. “Since 2009, China has signed bilateral currency swap agreements with thirty-two counterparties. The stated intention of these swaps is to support trade and investment and to promote the international use of renminbi. Broadly, China limits the amount of renminbi available to settle trade, and the swaps have been used to obtain renminbi after these limits have been reached. In October 2010, the Hong Kong Monetary Authority and the People’s Bank of China (PBoC) swapped 20 billion yuan (about $3 billion) to enable companies in Hong Kong to settle renminbi trade with the mainland. In 2014, China used its swap line with Korea to obtain 400 million won (about $400,000). The won were then lent on to a commercial bank in China, which used them to provide trade financing for payment of imports from Korea. Given the size of world financial and foreign exchange markets these days, the original idea of establishing central bank swap lines to widen the pool of funds to fight a currency crisis has hardly any chances for success. 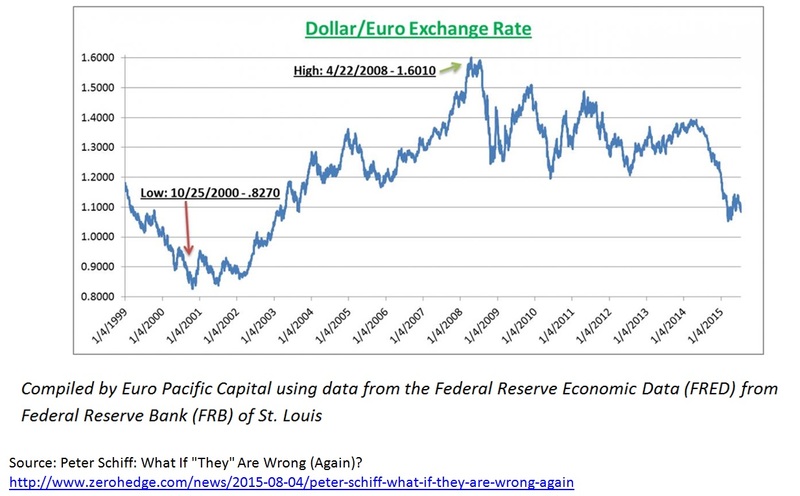 As impressive as the figures quoted by Perry Mehrling look at first glance, they would never suffice to stem the flood of currency flight and massive speculation. But, as the above examples show, the nature of central bank swaps as an instrument of monetary policy has fundamentally changed in recent years. – and bail out foreign banks to mitigate the risk of contagion. It is in this context that the word “unlimited” in the C6 agreement gives rise to concern.